Geo Spatial Technology Solution by Kerala based start-up company Strava Technologies played pivotal role in Kerala Flood Disaster Emergency Rescue Operation, saved many Lives. We faced first of its kind, "all hell loose" situation in Kerala. 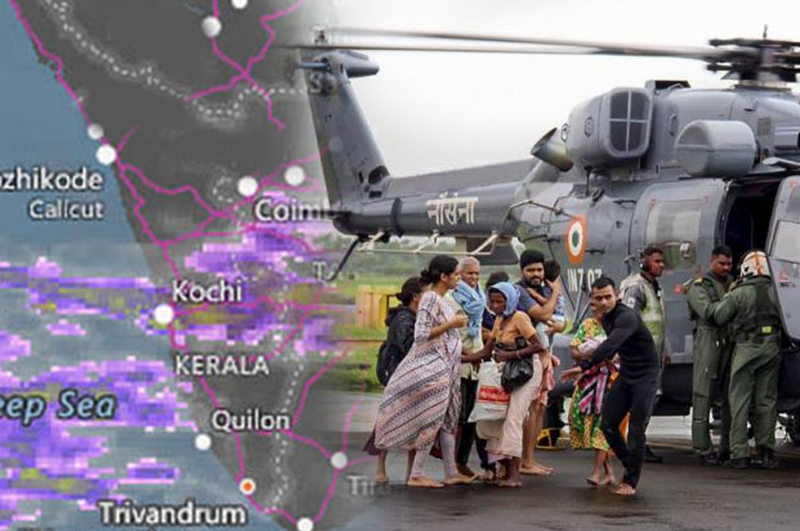 Many measures to tackle the situation and to help the humankind is being made, though the Kerala based start-up company in Drone Mapping & Location Intelligence, Strava Technologies (P) Ltd provided the best leverage solution for enhancing the real time rescue operation and planning for Defence Team & State Government who supported in Kerala Flood Disaster. Real-Time location intelligence played a very important part in providing the intelligence to Army, Navy, Airforce, NDRF and Coast Gaurd Forces in undertaking the rescue operations. " Strava Technologies, Geo Spatial Division were tremendous in not just coming up with the technological solution, but also in working as the emergency control centre consolidating distress calls, Social Media, Watzapp SoS etc, from all parts of the state and providing the final intelligence data to the forces" - said by State Disaster Management Authorities. "As soon as we joined with the team, we added our Spatial Big Data Analytic platform "CyberMonkey™ - A Geospatial Intelligence System" to compile all the location data. This solution provided the error and duplication free location data of people who needs emergency rescues. The Real Time Geo Visualization feature of the platform supported the entire team to visually analyze and to plan the rescue mission from the State Emergency Operation Control( SEOC) room. The KSDMA, SEOC, State IT Mission & the Secretariat IT Cell staff played an equal important role along with Defence & Strava Technologies Teams to sort all data from social media's,mails and watzapp groups of officials including collectors, deputy collectors, state department officials and unofficial. They were so committed to have personally called back the people to enquire their situation even though most of their houses were under water due to flood " - said by Spatial Technology Officer, Strava Technologies. "Guys you are doing wonderful job, the credibility and effectiveness of anything can be gauge only during a situation when all options, all doors are closed. But I must say guys were light of optimism and shouldered day and night will all forces and actually made this rescue possible. In one word I will say it's not army, navy, air force....It's just we did it... Keep your spirits always like this." - Major.Kavitha, Indian Army. “Most of my team members worked tirelessly at least 18 hours daily under such pressure directly under the highest levels of officers handling the disaster from the state control center. Each rescued news including the pregnant ladies rescued airlifting is a booster for our team to find out more people who need emergency. As an Entrepreneur from Kerala this is a proud moment for me and my Team. The first of its kind Kerala based start-up company in Drone based Mapping – Geo Spatial Technology and Cyber Security since 2015. Cyber Monkey™ - A Geo Spatial Intelligence System is the core product in Spatial Data Analysis, which provide accurate maps data along with geo visualization for Command & Control Operations of Smart Cities, Transportation & Traffic Audit, Autonomous Vehicles, Precision Farming, Disaster Management, Smart Policing, Oil & Gas Refineries, Dam Safety Audit, etc... We are now more into the 4th Industrial Revolutionary Space Technology application development for both our Government & Public in the above mentioned areas. STRAVA CYBER LAB's team can act as a cluster to support Corporates, Government in a quick cyber emergency handling situation and to secure our cyber space before attacks happens.